The thermal transfer military grade heat-shrink label is 2-sided with a 3/16" diameter and made of 3:1 flattened polyolefin. The heat-shrink sleeve is designed to provide a clear, reliable, and durable way to identify wires and cables. 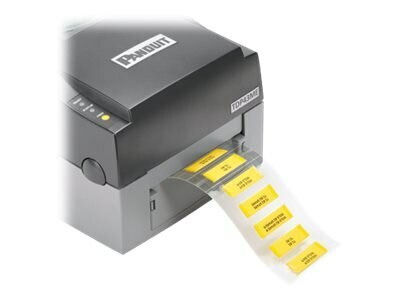 Heat-shrink labels are mounted on a plastic carrier and offer crisp, clear legends with superior readability for quick and easy label production in all label formats, including thermal transfer and dot matrix printable.